EPH | React Environmental Professional Services Group, Inc.
Approved methods of compound analysis change all the time, and so do their associated regulations. While it is always advisable to read and become fully familiar with the most up to date versions of regulations that are available, sometimes what you need is a primer to help get you started. And that’s what this post is all about. Protocol for implementation of the EPH Method Revision 3 divides petroleum types into two categories. Category 1 deals with releases of diesel fuel and/or number 2 (No. 2) fuel oil, while category 2 deals with releases of petroleum hydrocarbon mixtures other than diesel fuel/No. 2 fuel oil such as: cutting oils, crude oils, hydraulic oils, lubricating oils, number 4 and number 6 fuel oils, and waste oils. Category 1 requires analysis of non-fractionated EPH only while category 2 utilizes analysis of both non-fractionated and fractioned EPH analysis. One thing to keep in mind when analyzing for EPH is that, regardless of the category, contingent analysis of specific compounds may be required based on your EPH results. EPH concentrations that trigger contingent analysis are determined by Table 2-1 of the Technical Requirements for Site Remediation Guidance (known as the ‘Tech Rule’ or ‘N.J.A.C. 7:26E’). Contingent analysis triggers and parameters vary based on petroleum type, so make sure to package your samples accordingly! The concentration of EPH present within a sample that warrants soil remediation is 5,100 ppm for category 1, residential exposure. This is referred to as the human health value. Soils with concentrations above 5,100 ppm must be treated or removed. Alternatively, engineering controls (like an asphalt cap) and institutional controls (like a deed notice) can be used to mitigate exposure. A concentration of 54,000 ppm is the human health value for category 1 non-residential exposure scenarios. A determination of the presence of EPH product is made for both the category 1 residential exposure scenario and the non-residential exposure scenario when the concentration of EPH reaches 8,000 ppm. Soils with EPH concentrations above 8,000 ppm must be removed. The Department requires that an ecological evaluation be conducted when the concentration of non-fractionated EPH reaches 1,700 ppm. However, if you’re a homeowner, or if the site being evaluated doesn’t have any significant ecological receptors, you’re in luck! The NJDEP typically doesn’t require that an ecological evaluation be conducted in those instances. For category 2, the 1,700 ppm ecological evaluation trigger can also serve as the trigger to analyze for fractionated analysis. Initially, non-fractionated EPH analysis is sufficient; however, concentrations over 1,700 require fractionated EPH data. Due to analysis turnaround times with labs, you may find it prudent to simply analyze category 2 soils for both non-fractionated and fractionated EPH at the same time. The human health value for category 2 can be calculated using the NJDEP’s EPH calculator spreadsheet. Simply input fractionated data and whether the scenario is residential or non-residential and the spreadsheet will indicate if additional remediation is necessary. A determination of the presence of EPH product for category 2 samples is made when the concentration of EPH reaches 17,000 ppm. As with category 1, soils with concentrations of EPH above 17,000 require removal while soils with concentrations below 17,000 that are calculated to be above the human health value may be treated, removed, or addressed with a combination of engineering and institutional controls. For both category 1 and category 2 EPH analysis, the evaluation of sheen is determined utilizing the Department’s Sheen Remediation Guidance. Now that you have the basics of the NJDEP’s EPH protocol down, please download (and read!) 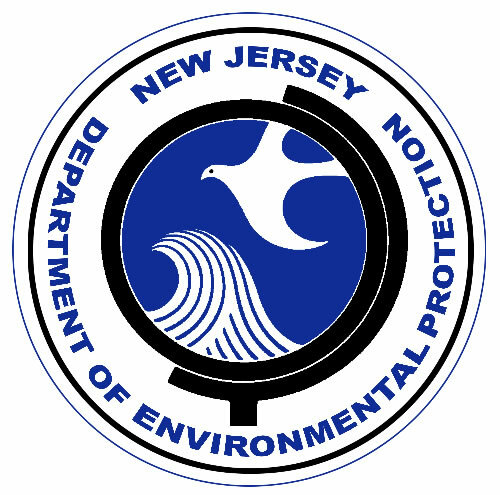 the complete NJDEP EPH Protocol Guidance document to learn more. Or if you have any questions, feel free to contact me at sshourds@repsg.com, or leave a comment in the reply section below. Happy sampling!